Fidel Castro survived more than 600 CIA assassination plots to become the longest serving non-royal leader of the 20th Century. As leader of the Cuban Revolution, he created a communist state in America’s backyard that still survives today. To his enemies he was a ruthless autocrat whose close links to the Soviet Union brought the world to the brink of nuclear war. To his supporters, he was a revolutionary hero who stood up to Washington’s might. Find out about the life of Fidel Castro. 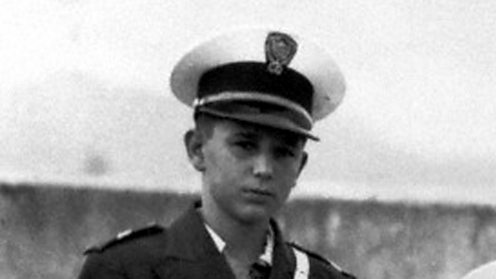 Fidel Castro as a boy. Castro was born out of wedlock. His father, Ángel, was a wealthy sugar plantation owner – his mother, Lina Ruz Gonzalez, was his father’s maid. Castro lived on his father’s farm in eastern Cuba and grew up alongside poor Haitian labourers – witnessing at first hand the vast inequality they suffered. Aged eight he was sent to a strict boarding school in Santiago. A headstrong boy, he clashed with classmates and teachers alike. He was sent to a Jesuit school where he was impressed by the teachers’ values of personal honour and courage. A bright child, he excelled in sports – especially basketball. I didn’t rebel against my father; that was hard as he was a man with a good heart. I rebelled against authority. 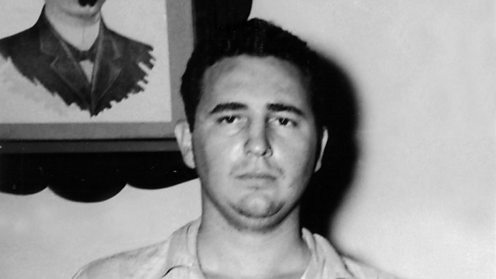 Portrait of Castro in 1950, aged 24. In 1945 Castro studied law at the University of Havana. His sense of injustice and rebelliousness found a target at university. The university was semi-autonomous and armed political gangs controlled the distribution of books and good grades. Castro threw himself into student politics and was distraught when he failed to become head of the students’ federation. However, he gained national attention with a charismatic speech criticising the government. In 1947 he joined Partido Ortodoxo, impressed by its leader Chibás and his popular socialist message of social justice and fighting corruption. 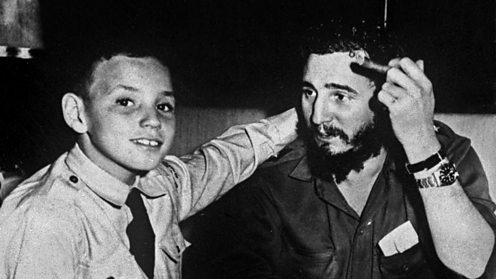 Castro with his son Fidelito. Castro married Mirtha Diaz Balart de Nunez, a fellow student and the daughter of a prominent Cuban politician. Mirtha’s family disapproved of Castro’s radical politics, but still paid for his honeymoon in the US. The following year they had a son Fidel Ángel – ‘Fidelito’. Their marriage came under strain because Mirtha’s family had close ties with Fulgencio Batista, the powerful right-wing military general and former president. 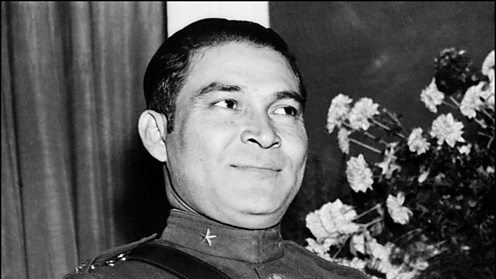 Fulgencio Batista: elected president of Cuba 1940-1944, Cuban dictator 1952-1959. 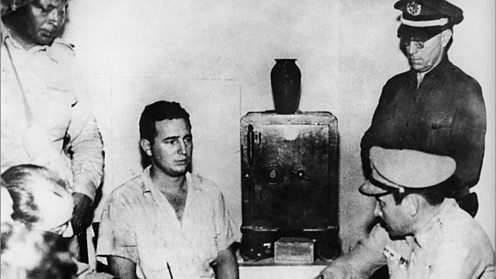 Castro was crushed when his mentor Chibás shot himself in the stomach during a radio broadcast in August 1951 and died 11 days later. Castro started studying the ideas of Karl Marx as he sought a political solution to Cuba’s deep problems. In 1952 he ran as an independent candidate for the Cuban congress. That March his plans for a political career were thwarted when Batista re-seized power in military coup. Seeing scores of his close comrades murdered by the oppressive regime, Castro lost faith in democracy – and was set on a path towards armed revolution. Castro the last-minute MarxistBBC In Our Time: Why was Karl Marx so important? Marxism taught me what society was. I was like a blindfolded man in a forest, who doesn’t even know where north or south is. 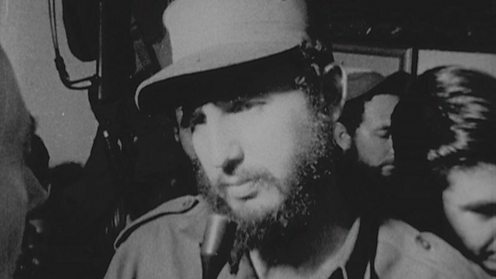 Castro questioned at Moncada Garrison. 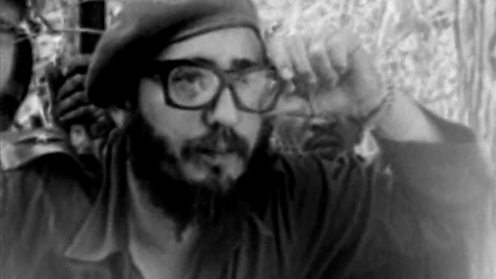 In 1952 Castro and his younger brother Raúl formed an underground revolutionary organisation and began military training. The following year, Castro led a rising against Batista. About 140 rebels attacked a federal garrison at Moncada, Santiago. They were outnumbered and forced to retreat. Many of the rebels were executed, but the Castro brothers were imprisoned. When Batista turned Castro’s trial into a media spectacle, Fidel took advantage of the moment to attack the regime in his famous History Will Absolve Me speech. Although he was sentenced to 15 years in prison, his words registered with the Cuban people. With what right do the Courts send to prison citizens who have tried to redeem their country by giving their own blood, their own lives? Castro and Che Guevara in the Sierra Maestra mountains of Cuba. In an amnesty agreement, Batista released political dissidents including the Castro brothers, after 22 months’ imprisonment. Batista’s Cuba had become a playground for rich American tourists and the mafia, while many Cubans faced abject poverty. The Castro brothers fled to Mexico where they met a young Argentine doctor, Ernesto ‘Che’ Guevara. Castro, Guevara, Raúl and 80 other rebels formed the '26th of July Movement', named after the date of the Moncada Barracks assault. In 1956 Castro and his men boarded the Granma yacht laden with weapons and supplies, bound back to Cuba. 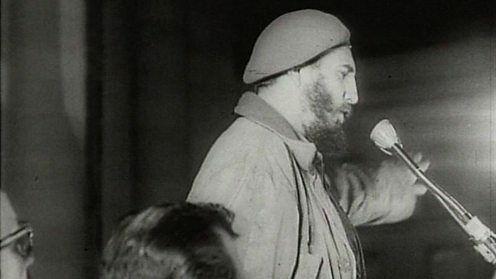 Castro speaks of battling to defeat Batista's forces. Clip from Panorama (BBC One, 1959). Castro landed in Cuba on 2 December 1956 with 80 rebels, intent on revolution. Ambushed by Batista’s men, they were forced to flee into the mountains. Castro and a few survivors, including his brother Raúl and Che Guevara, started their armed campaign. Cuba had grown more corrupt and unequal under Batista and Castro recruited many people to his cause – especially among the rural poor. Castro won a string of military skirmishes and took control of large swathes of the country. In 1958 he launched a full-scale attack on major towns. Batista fled Cuba, and in January 1959 Castro entered Havana a hero. I had been linked to him… by the conviction that it would be worth dying on a foreign beach for such a pure ideal. Castro explains his vision of Cuba to US reporters. Clip from BBC News 1959. Castro became Cuba’s revolutionary leader – he had a powerful and enigmatic hold over the Cuban people and fiercely maintained his grip on power. Castro took control of the media and conducted public trials of former members of Batista’s regime. He nationalised commerce and industry and introduced free education and healthcare for the Cuban people. In 1960 he took over US-owned plantations and factories, infuriating Washington which imposed an economic embargo. This only served to push Cuba further into the embrace of America’s Cold War enemy, the USSR. Castro signed a treaty with the Soviet Union trading the island’s sugar for oil. 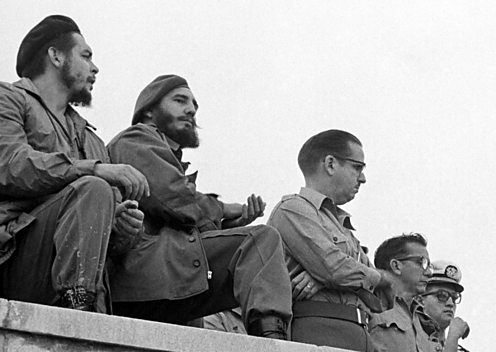 Che Guevara and Fidel Castro attend the closing ceremony of the literacy campaign. In 1960 Castro stated in a speech to the United Nations that he would eliminate illiteracy in Cuba in one year. Castro started a massive volunteer campaign – 100,000 young helpers aged between 10 and 19 signed up alongside thousands of teachers and factory workers to teach others how to read. 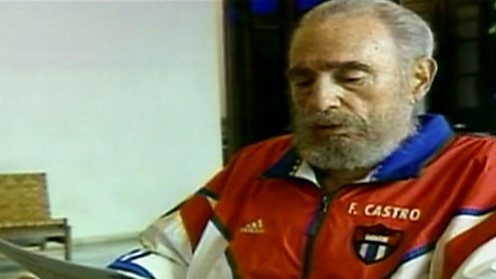 Castro used the exercise to promote unity across the country – literacy was higher in the cities and many people travelled into rural areas to teach. He also made propaganda texts part of the learning materials. In one year 700,000 people were taught to read. The campaign reduced the illiteracy rate from 23% to 4%. Simon Reeve explains how Cuban exiles invaded in the Bay of Pigs. Clip from Cuba with Simon Reeve (BBC Two, 2012). The US hatched a plan to topple Castro. In 1961, 1,500 Cuban exiles, trained and financed by the CIA, launched an invasion in the Bay of Pigs. It was an unmitigated disaster. The invaders had hoped to gain local support for their cause but it didn’t materialise. 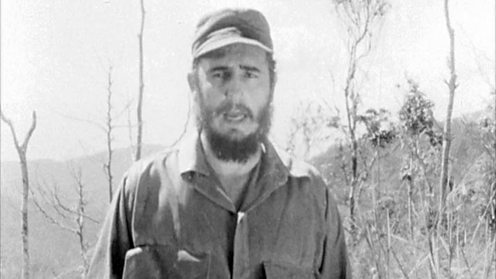 Castro took personal charge of the defensive operation and within three days the battle was won. More than 100 of the invaders died in the attack and 1,189 were taken prisoner. Realising the US was now his sworn enemy, Castro forged even closer ties with the Soviet Union. He was determined to stay in power and safeguard the revolution – in May he abolished multiparty elections. In less than seventy-two hours [we] had totally wiped out that expedition. A hard defeat for the empire. And a great humiliation. The Cuban Missile Crisis. Clip from A Day That Shook the World (BBC Two, 1998). Fearing an imminent US invasion Castro signed a secret deal with Soviet leader Nikita Khrushchev to build a string of nuclear missile bases in Cuba. The bases were spotted by US spy planes and President Kennedy threatened the Soviet Union with attack if it did not remove the missiles from the island. The world held its breath fearing the start of nuclear war. But much to his frustration, as the two superpowers faced off, Castro was treated as a pawn. After 13 tense days, a peaceful resolution was reached. Khrushchev agreed to remove the weapons from Cuba in exchange for a secret deal promising the removal of US weapons from Turkey. We learned from news reports that the Soviets were making the proposal to withdraw the missiles. And it had never been discussed with us in any way! 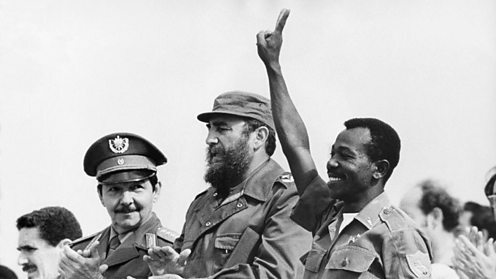 Castro and Ethiopian President Mengistu Haile Mariam. Cuba continued to receive economic support from the Soviet Union and Castro sponsored revolutionary movements in Latin America and Africa. Castro saw himself as a leader of oppressed people around the world. He helped train anti-apartheid forces in South Africa. In the 1970s he sent troops to support Communist forces in Angola, Ethiopia and Yemen. Now in his 40s Castro had dodged several CIA-backed assassination attempts – including plots involving exploding cigars, a fungus-infected scuba-diving suit and a poisoned pen syringe. In total the CIA plotted an estimated 638 attempts on Castro’s life. Why Nelson Mandela loved Fidel Castro638 ways to kill CastroNelson Mandela: The last great liberator? If surviving assassination attempts were an Olympic event, I would win the gold medal. 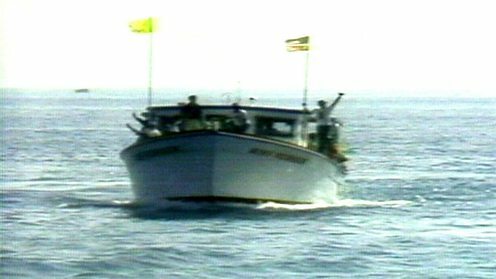 Martin Bell reports on a flood of Cuban migrants arriving in Florida. Clip from BBC News 1980. As Cuba’s economy foundered, there were house and job shortages. In 1980 five Cubans smashed their way into the Peruvian Embassy and gained asylum. In the aftermath, 10,000 Cubans amassed around the consulate seeking entry. 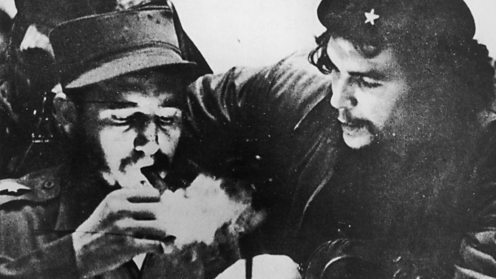 Castro was angry at what he saw as the influence of America turning Cubans against their country. He opened up the Mariel port in northern Cuba saying that all émigrés were free to leave. That year 125,000 refugees made their way to Florida in a flotilla of unseaworthy vessels in what became known as the Mariel Boatlift. Castro punished America by emptying Cuban jails and mental health facilities to join the exodus. They leave because they want a car, because they want to live in a consumer society, that society that advertising makes look so appealing. 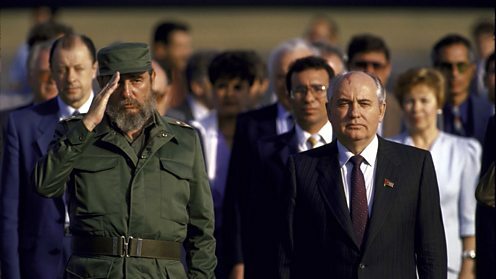 Castro with Soviet leader Gorbachev. The collapse of the Soviet Union threw the Cuban economy into chaos. But Castro was adamant his Cuba would survive. Cuba lost around $6bn in annual subsidy from the Soviet Union and could no longer export sugar in exchange for its oil – Cuba’s factories and agriculture were paralysed. Fidel Castro was forced to improvise. He introduced stricter food rationing and opened up the Cuban economy to limited private enterprise, especially in tourism. In 1999, Castro’s ally Hugo Chavez took power in Venezuela and in 2000 Castro signed a deal – sending thousands of doctors in exchange for oil. We shall never submit to hegemony! We are invincible! On the 10-year anniversary, Michael Voss looks back on Elián González's return to Cuba. Clip from BBC News 2010. Cuban refugees continued to escape Castro’s Cuba. In 1999, Elián González, a five-year-old Cuban boy was rescued from the sea and brought to the US. The boy was the sole survivor after his mother drowned when their boat capsized. In an intense legal battle Cuban Americans fought to keep Elián in the US, while his father pressed for his return. Castro led the protest marches in Havana. In 2000 Elian returned to Cuba and Castro made him a poster boy of the revolution. 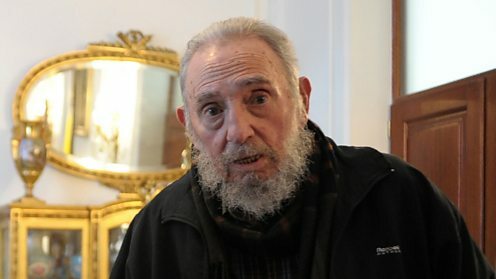 Despite his advancing years, Castro kept a grip on power – in 2003 in what would be dubbed the ‘Black Spring’, he imprisoned 75 people in a crackdown on dissidents. 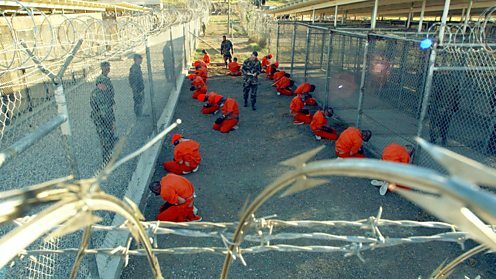 Inmates held at Guantanamo Bay detention camp. In January, the US sent 20 suspected al-Qaeda members from Afghanistan to the detention camp in Cuba. By November 2002, there were 750 detainees. In 2003, Castro blasted the US for running what he called a ’concentration camp’ on Cuban soil. The US has maintained a naval base in Guantanamo Bay since 1903 – leasing the area from successive Cuban governments for $4,085 a year. Castro has not cashed the US cheques for the lease since the Cuban Revolution because of America’s ‘illegal occupation’. Michael Voss reports on Fidel Castro’s official resignation. Clip from BBC News 2008. Wracked by ill health, Castro stood down as president of Cuba aged 81. He left power in the hands of 76-year-old brother Raúl. Relations began to thaw between Cuba and the US. In 2015, Raúl and President Obama held historic talks to normalise their diplomatic relations. A Cuban embassy opened in Washington and a US embassy opened in Havana for the first time in 54 years. Castro continued to work, writing a newspaper column attacking US foreign policy. It would betray my conscience to take up a responsibility that requires mobility and total devotion that I am not in a physical condition to offer. On 25 November 2016, Fidel Castro died, triggering several days of national mourning in Cuba. 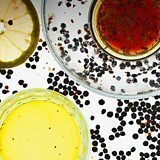 He was a controversial figure who divided opinion. Supporters said Castro brought enduring positive changes to Cuba. Opponents believed he replaced one repressive form of government with another. What is beyond doubt is over five decades he changed Cuba greatly, reshaping it into his idea of a Socialist state. He stood up against American influence - even after the Soviet Union crumbled. 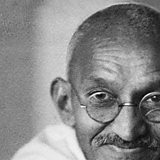 He will be remembered as one of the most important and controversial political figures of the 20th Century. 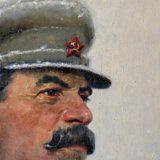 Joseph Stalin: National hero or cold-blooded murderer?